My daughters love Ponyo. My little one especially. Given the opportunity, some days she will want to watch it on repeat. I actually don't really mind. It's a stunningly beautiful movie and well worth having as part of a kids collection. For Christmas, I like to make gifts that are really personal for people. I like my receiver to know that they got a gift that was from my heart to theirs. This last year, I made my little lulu her very own tiny ponyo doll. I wanted her to be able to hold Ponyo in her hand the way Soskei held Ponyo in his. 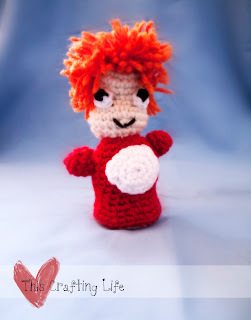 So here it is, my tiny ponyo pattern! Special Instructions: Place marker at beginning of every row, do not join. R12: *sc, sc2tog* around, FO, leaving long tail for weaving. R14: *sc, 2 sc, sc, sc2tog* around, ending at second sc repeat. R15: *1 sc in next 4 st, 2 sc in next * around, sc in last st, FO, leaving long tail for weaving. FO, leaving long tail for weaving. Stuff body, attach white bottom piece to body. Stuff head, attach to body. 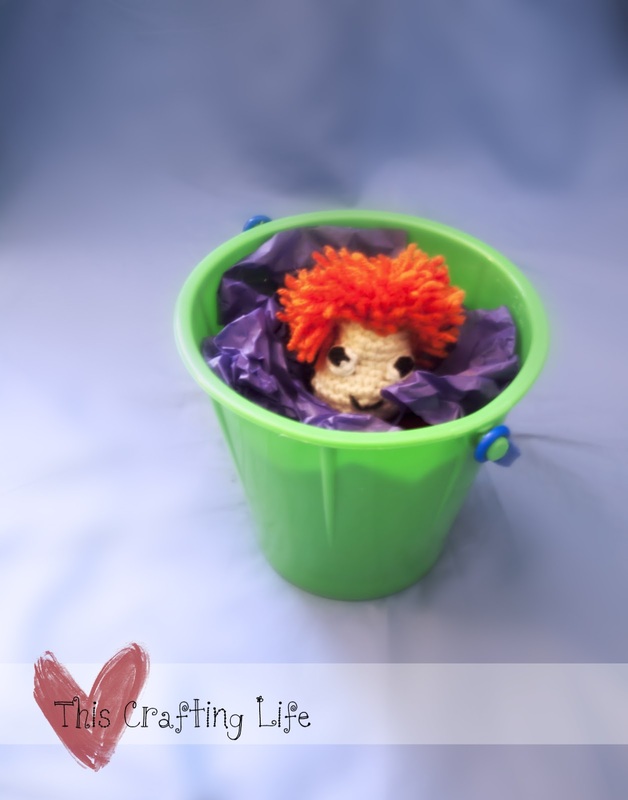 Add hair with short pieces using a latch hook method.